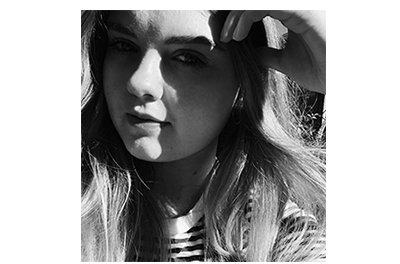 Perfecting Your Winged Eyeliner | emma etc. Let's face it, you'll probably never have *perfect* winged eyeliner, but you can come pretty damned close, and it's all about the product you use vs. the technique you implement. I won't lie and say I apply it perfectly every time, but practice really does make perfect. I'm having a real moment with liquid eyeliner, so here are some of the things I do when I apply it. Everyone's different, but I think I've got my technique down. First of all, the eyeliner I use (and LOVE) is Rimmel's Exaggerate Liquid Eyeliner. I'll list it's many pros for you now: the formula is very, very black and you have no danger of it looking brown or faded, it's very easy to use (to me, at least) and it literally stays put all day. I think one of the biggest benefits of this particular eyeliner is it's sturdy 'brush' or tip, as it's not flimsy at all and easy to press firmly across the eye line and draw a sharp line. With the Rimmel eyeliner, I generally don't find it a problem to get that really black look as it's a very dark formula and very inky/pigmented. It dries down nicely and stays put until I take it off. Generally I like to apply my eyeliner with a medium thickness and a wing which doesn't extend to far - maybe a third of the way up towards the direction of the eyebrow. I personally like a flick that isn't too much at an angle, but titled only slightly upwards. I start with drawing the wing first, drawing a thin, sometimes imperfect line to start off with the general angle of the flick. I will then leave the tip of the wing thin and drag the liner across towards my eye, relatively thick and reducing in thickness towards the inner eye. I fill in any parts that don't look black enough, for example right near the eyeline. If you have light coloured eyelashes (I do right at the eyeline) it's best to use a good mascara after your eyeliner to make everything blacker. Mascara can also cover up some little mistakes from your eyeliner. I feel like I should be embracing this look as much as possible as it's currently winter here and I do think that in the summer I won't be bothered with a heavier eye look. 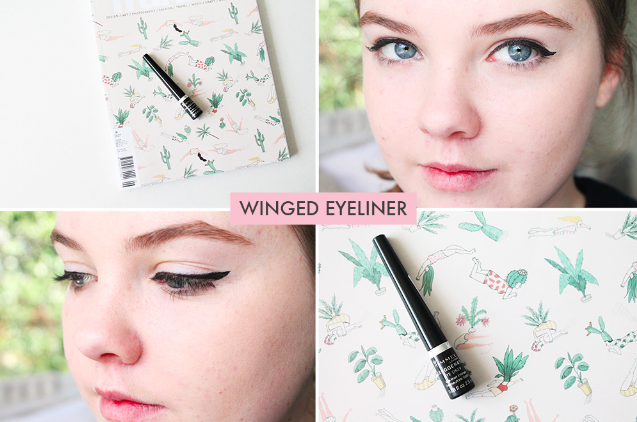 Do you like doing winged eyeliner and how do you go about it?